Preheat oven to 325°F. 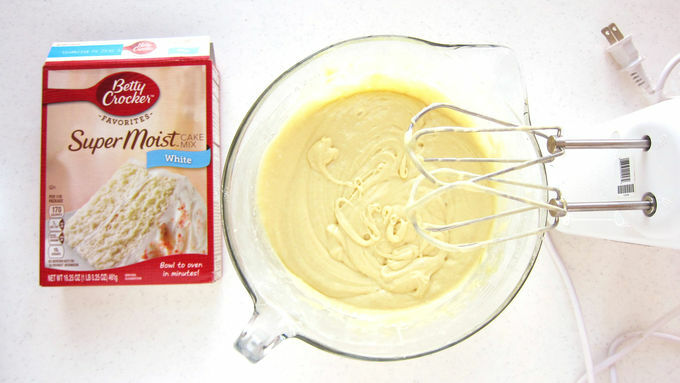 Combine cake mix, flour, pudding mix, sour cream, vegetable oil, cream soda and eggs together in a large mixing bowl. Using an electric mixer, beat ingredients on low speed for 30 seconds. Increase mixer speed to medium and beat for 1 1/2 minutes. 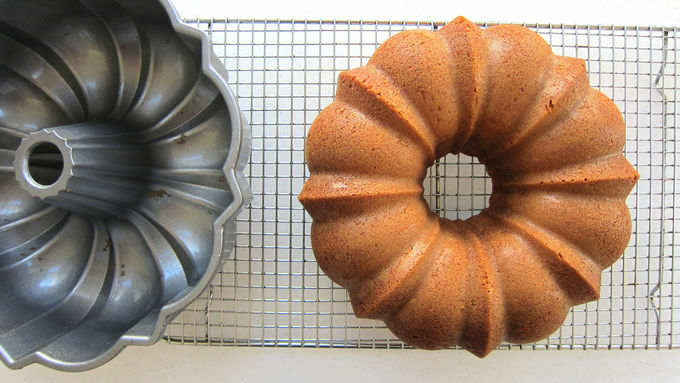 Spray cake pan with nonstick baking spray with flour. Pour batter into pan and smooth out the top. 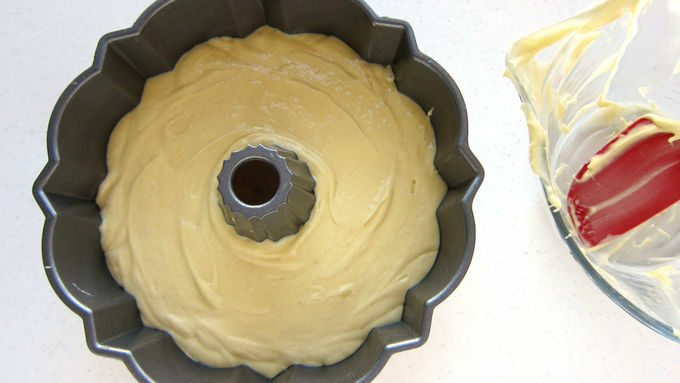 Bake for 46-54 minutes until a toothpick inserted in the center of the cake comes out clean. Allow the cake to cool in the pan for 20 minutes, then turn out onto a cooling rack and let cool completely. If needed, level the bottom of the cake so that it sits flat on a serving platter. To make the glaze, sift the powdered sugar into a mixing bowl. Stir in 3 tablespoons of cream soda, adding more if needed until glaze is just thin enough to pour. Drizzle glaze over cooled cake, cut into slices and serve. 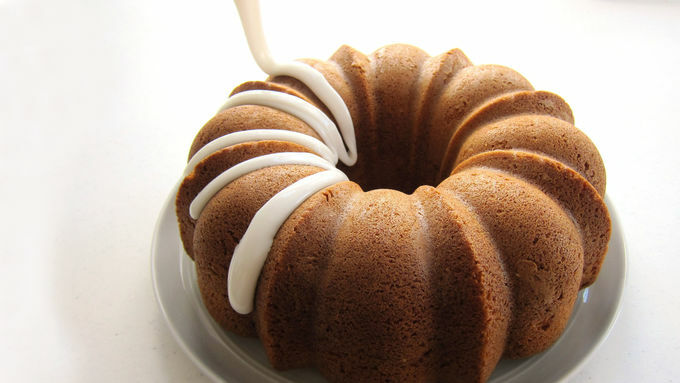 Did you know you can swap out soda pop for the water in a cake mix? It’s most common to use cola, but you can use any flavor soda you like best to bake with soda. I love the candy-like flavor of cream soda and knew the pop would add a nice flavor to my go-to Betty Crocker™ Super Moist™ Cake Mix. I wanted the cream soda flavor to shine and didn’t want to mask it with a thick frosting, so I baked the cake in a bundt pan and drizzled on a cream soda glaze to really pump up the flavor. 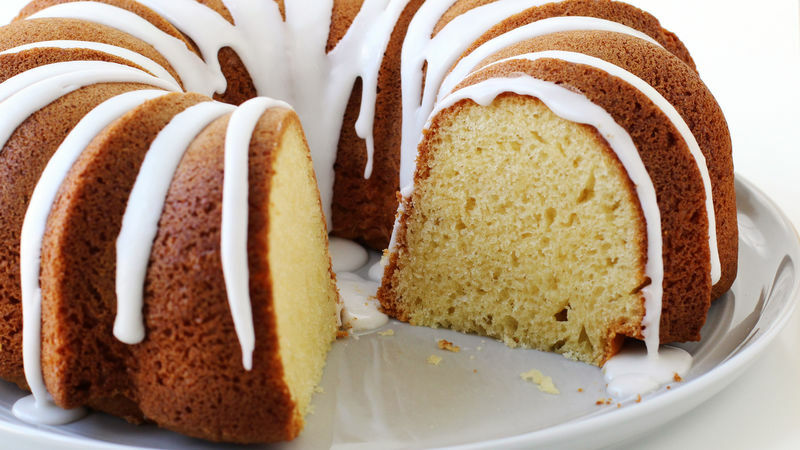 The cake is wonderfully moist, simple to make, and has a lovely cream soda flavor. In just 15 minutes of prep time you’ll have a beautiful cake that’s easy to transport. It’s the perfect dessert to bring to a potluck dinner or outdoor BBQ.